Drug addiction treatment at Rehab Healthcare treats patients with recovery programs which include successful therapies like motivational enhancement therapies, cognitive behavioural therapies as well as group and individual counselling. Our drug rehab centres utilise their environment to the fullest extent providing patients with a place they can stay focused. They have homely surroundings which help residents feel comfortable and secure. These centres make sure that their residents are ready to rebuild their lives in the outside world after going through successful treatment. Our successful drug rehab treatment centres have an important feature that includes group and individual counselling sessions. These sessions help to increase the confidence level of our patients. How professional are your Rehab Centres? A drug rehab needs a license and registration before it can operate. Before it can be granted these, it has to meet specific requirements as stated by law. One of these is to have certified professional staff that are trained to handle and administer treatment to patients. Rehab HC have in-house healthcare professionals, psychologists, counsellors, and clinicians who all have the necessary knowledge, training, and license to do their jobs. They are there to give the patients the best care and support as they rid themselves of their addictions. Alcohol addiction or any other kind of addiction is a complicated condition that leads to adverse conditions. Treatments for drug addiction vary according to the amount and types of drugs involved along with the duration of the drug addiction. Detoxifying the body from the addictive substance is not an easy phase. Most patients will suffer some side effects that could affect their physical and emotional well-being. Seizures, emotional breakdowns, insomnia, weight loss, and suicidal tendencies are just some of these. The healthcare professionals and staffs who work in Rehab HC know how to care for the patients once any of these symptoms start to manifest. The proper care and assistance that they offer make it easier for the patients go through this initial and important stage towards becoming free from drugs. After detoxification, patients start to be rehabilitated emotionally and mentally. In-house psychologists and counsellors from Rehab HC can help patients face and accept their addiction through talks and therapies. Individual and group sessions are conducted to make patients realise that drugs are not the answer to their problems. During group sessions, when co-patients start to share stories about how they became addicted and about the fears that haunt them, each patient can become more courageous to stop the denial, face his addiction head-on, and focus on getting well. Being overwhelmed by the people who understand his situation through first-hand experiences can boost a patient's ego and cure him of his depression. Alcohol and Drug Rehab Clinics in Birmingham provided by Rehab HC offer aftercare support. Aftercare support is one of the best features of Rehab HC. Here, an addict who has successfully finished undergoing inpatient treatment is still required to go back to the centre to attend regular sessions and consultations. These sessions are focused on ensuring that treated addicts continue to live a healthy lifestyle to avoid any relapse. Individual consultations with the counsellors from Rehab HC are designed to address any emotional torment a recovering addict may be experiencing as he starts to mingle with society again. The lure of drugs is prevalent in the outside world and counsellors are trained to give the patient all the emotional support he needs to resist these temptations. Counsellors from Rehab HC can see if a patient is prone to have a relapse so that immediate assistance can be offered. 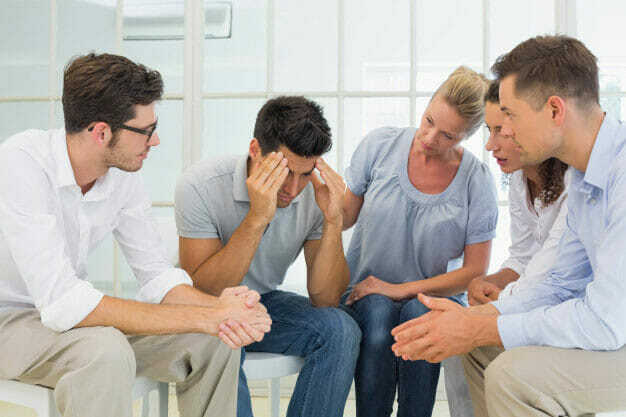 With proper aftercare support, patients are better able to lead a new and better life, knowing that there are people who believe that they can do it.With all these benefits, drug addicts should never hesitate to being admitted to a rehabilitation centre, with the full support of his or her family. It is time to ignore the stigma and shame, but rather focus on reviving the good health of the patient through the effective treatments provided by drug rehab centres.